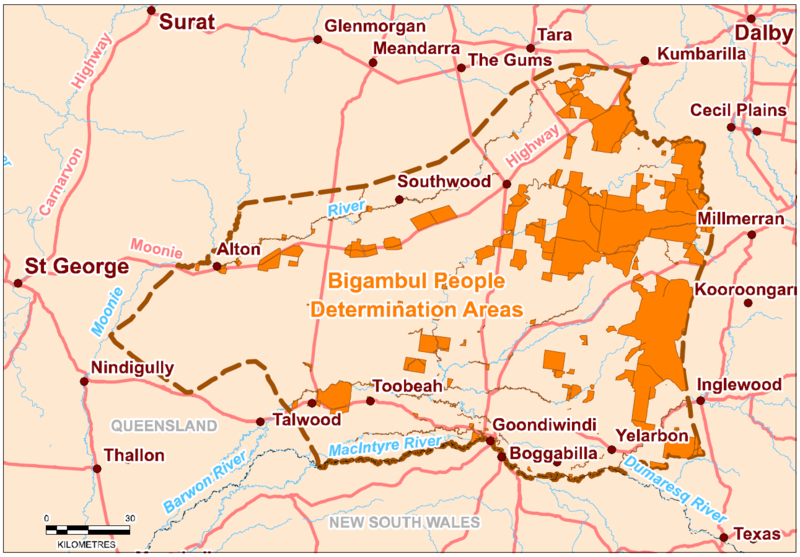 Bigambul country is located in South West Queensland, spanning the Queensland and New South Wales borders and centred on the riverine area between the Macintyre and Weir rivers. The current boundary is defined in part by the Macintyre River in the south (which becomes the Barwon River at its junction with the Weir River), the Macintyre Brook, and with the Moonie River in the west. In the north, it extends to encompass Western Creek (a tributary of the Weir River) and in the east, the boundary falls short of Cecil Plains, Millmerran, Inglewood, Beebo and Texas. Goondiwindi is the largest town in the claim area. Our country is neighboured in the north by the Barunggam, and by land associated with the Mandandanji to the north-west. In the south-east at Beebo and Texas lies a transitional boundary zone in which Bigambul and Gambuwal/Kambuwal people likely share interests, and to the north-east lies Giabel country. 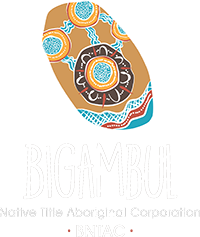 The southern extent of Bigambul country abuts Kamilaroi country and the south-western corner meets Yuwaalaraay country.